Join The Cosmos on Saturday 8/25 for a fun workshop where Nia and Melina of Little Joy will teach us how to create beautiful AND affordable floral arrangements. We’ll also be serving up yummy beverages and snacks courtesy of Tea with Inga - think tea-infused cocktails, an intimate tea ceremony, and other surprises! Your ticket include a hands-on floral arrangement 101 lesson, tea & tea-inspired cocktails, snacks, and heartfelt conversation as we explore the theme of "Finding Everyday Beauty". You'll get to walk home with your own handmade arrangement and lots of memories. Little Joy NYC hosts gatherings to make beautiful, spritely things like floral designs and tablescapes. We care deeply about creativity and the power of beauty. To have a "littlejoy" is to experience a surprising amount of beauty through ordinary means and that feeling of wonder washes over you. We host seasonal local NYC workshops and an annual Autumn retreat in the Hudson Valley every November. Come away with us and feel enchantment! 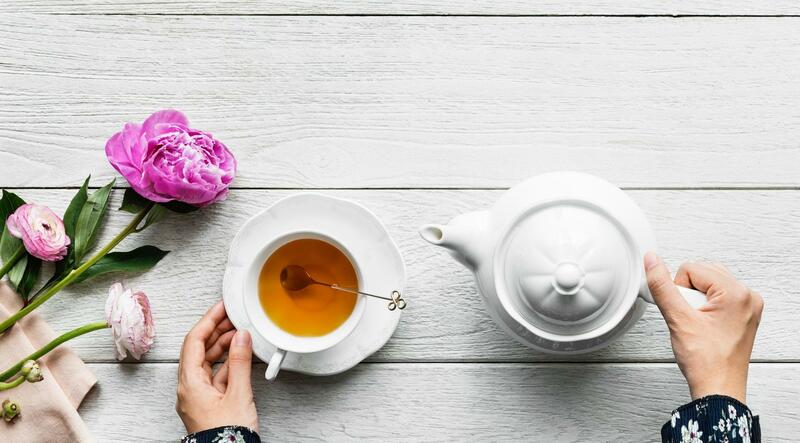 Tea with Inga aims to spread the joy of tea and tea culture through sharing experiences with high quality, loose leaf tea brewed the gongfu way. The ritual of preparing tea with care and attention engages all five senses. More ritual than ceremony, making a simple cup of tea is a way to be present, find calm, and delight in the details. There is no perfect cup of tea, but there are teas for every season, mood, and occasion. The hope is that people find a new appreciation for tea after a Tea with Inga experience. Your ticket include a hands-on floral arrangement 101 lesson, tea & tea-inspired cocktails, snacks, and heartfelt conversation as we explore the theme of "Finding Everyday Beauty". You'll get to walk home with your own handmade bouquet and lots of memories! Have you ever walked out of Trader Joe’s or your local bodega with bunches of fresh flowers, wondering how to masterfully turn them into a bouquet? Well, we’ve tried (and failed) so we’re partnering with Little Joy to show us the ropes! This workshop will take place on a private rooftop overlooking Gramercy Park - lots of great golden hour sunset lighting for photos with our arrangements! 5:00PM: Closing Remarks & Enjoy Tea Cocktails with the Sunset! Your ticket includes a hands-on floral arrangement lesson, tea & snacks, and heartfelt conversations as we explore the theme of "Finding Everyday Beauty". You'll get to walk home with your own bouquet too!